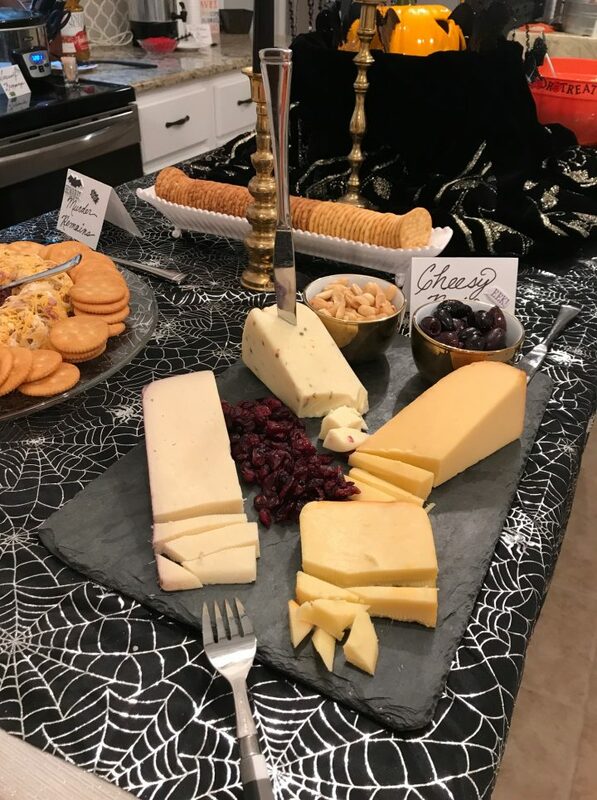 For the past few years or so, we’ve hosted a couples halloween party at our home filled with spooky food, silly games, and a costume contest with epic prizes. 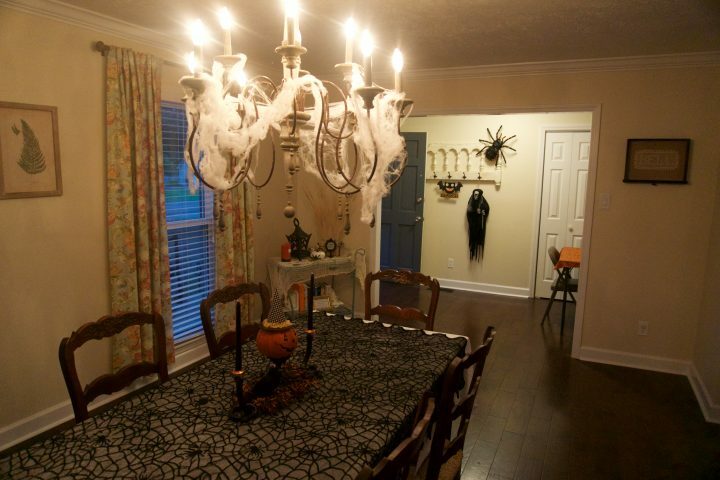 We skipped last year as we were trying to sell our house in Centerville to buy our current one – ugh, real estate – so this year I was determined and excited to throw our Halloween bash in our new home. We sent out invites made simple thanks to Evite and Facebook because as much as I love and prefer paper invites via snail mail, my goal was to keep it simple. 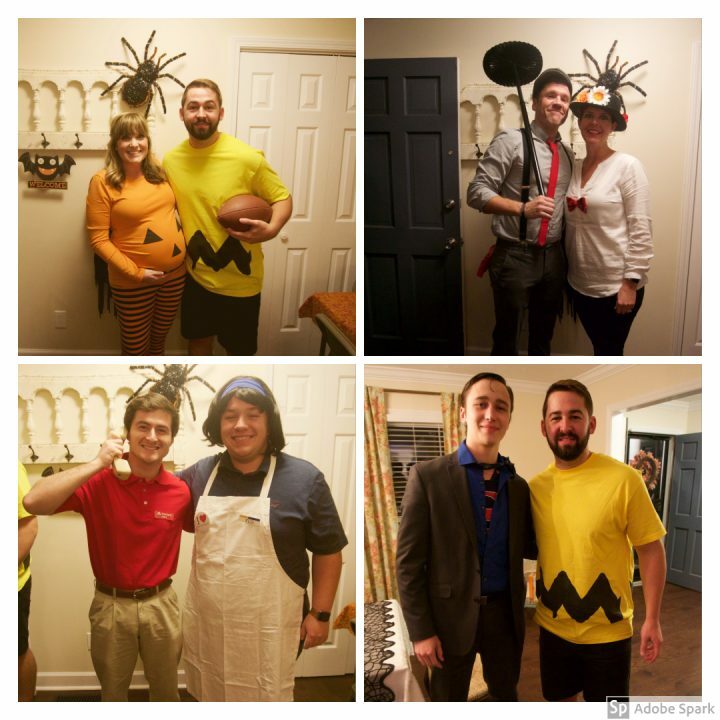 We let couples know early on that costumes were a must and no little ghouls allowed because we all need a little break from our little darlings. 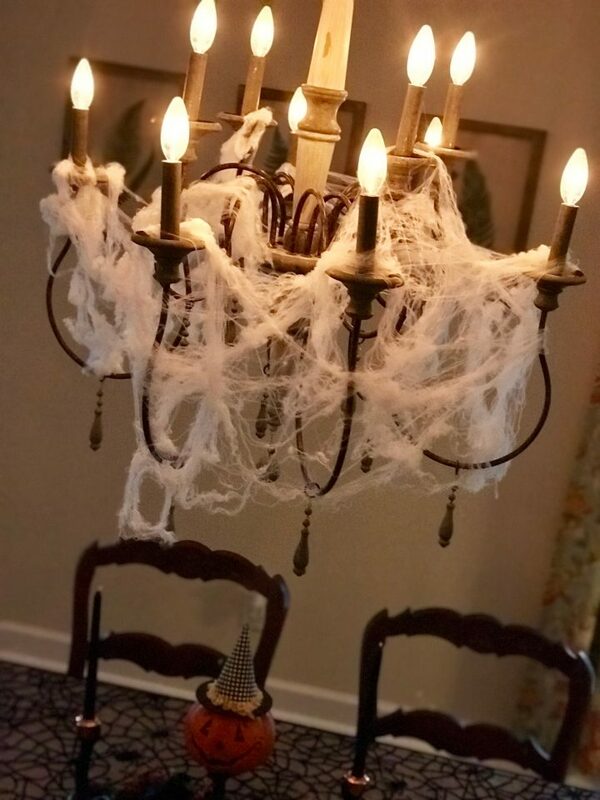 My wonderful mother and party planner extraordinaire helped me deck the house out to resemble a spooky, haunted house with plenty of skulls and cobwebs. 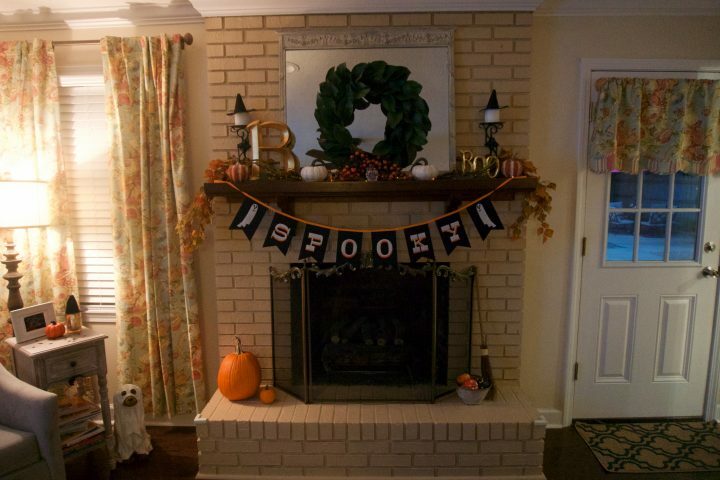 We switched out some of the cutesy Halloween decor I had out for Annie for some creepier elements. 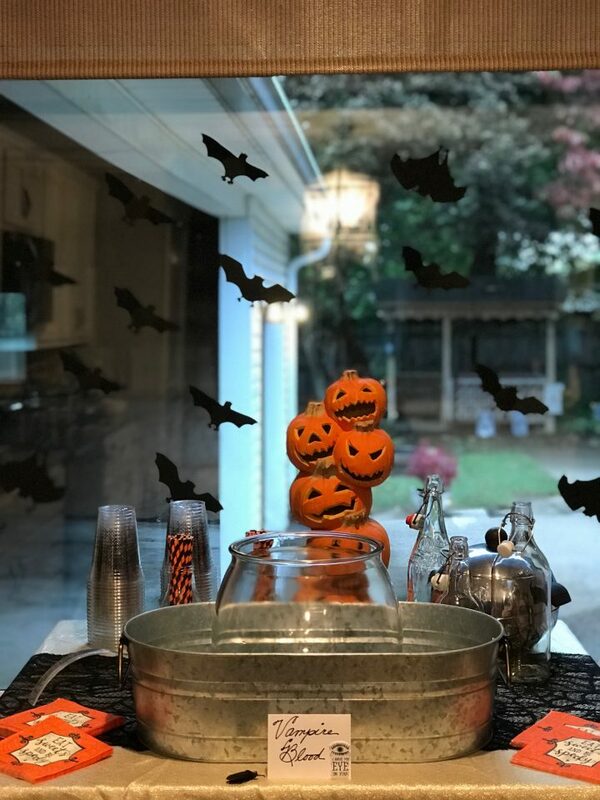 For food, I kept it simple there too, serving chili and taco soup with all the fixings, Nieman Marcus cheese ball, cheese board, assorted popcorn, a gummy candy plate (inspired by this one) and assorted popcorns topped with candy corn, of course. 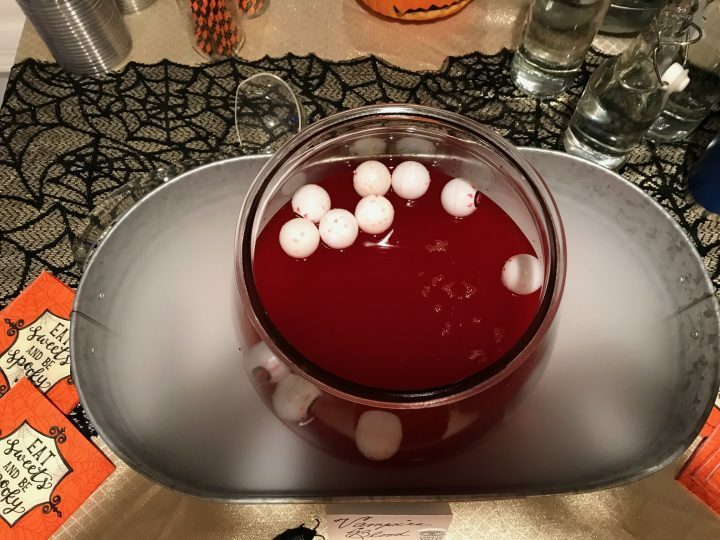 Since it was cold out, I served cider with red hots (the only way to drink it) and witch’s brew punch, made all the creepier by dry ice. 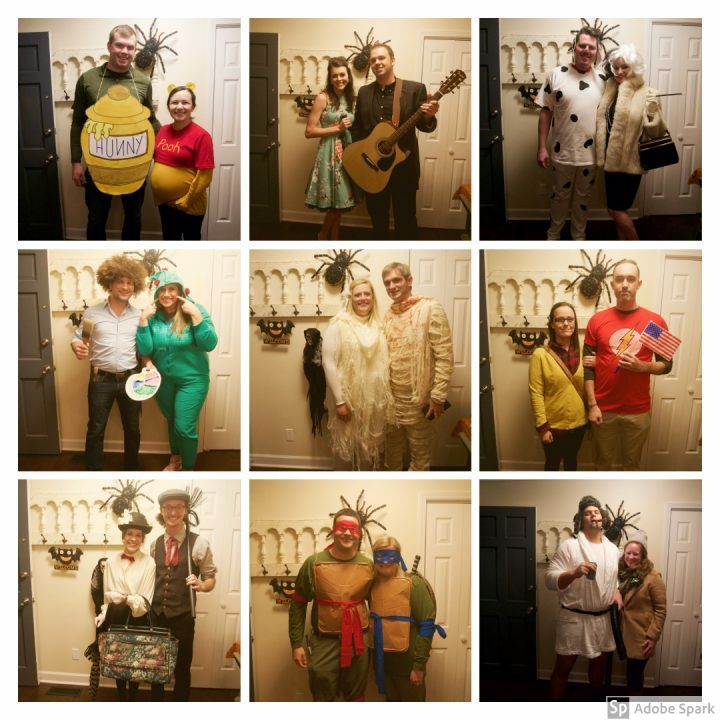 I took pictures of each couple as they arrived and then everyone had a chance to vote for scariest/funniest/most original couple as they ate and mingled. Winners received gift cards to treat themselves and we all ended up outside but the end of the night making s’mores by the fire. 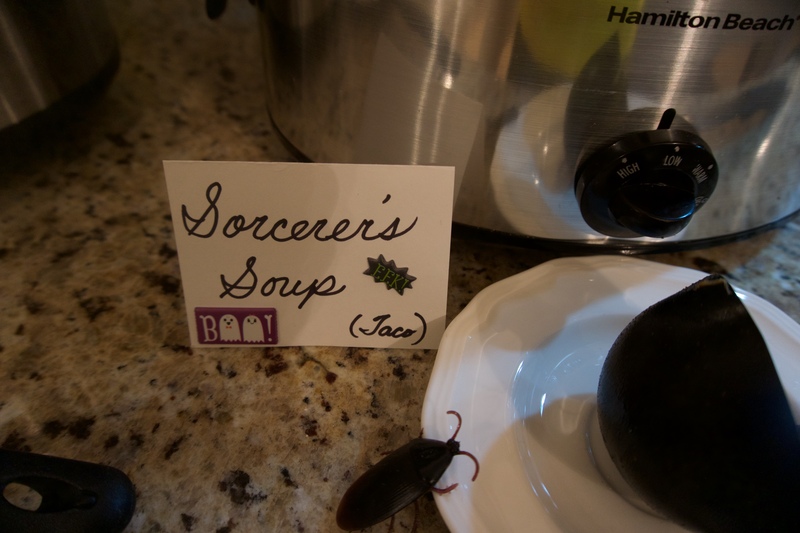 It was an epic night spent with good friends enjoying the season. You know it was a good party because at the end of the night I realized I had left my phone in a random drawer and never missed it. I remembered I was 31 weeks pregnant once I laid down in bed for the night – OUCH – but nothing a little tylenol and shut eye couldn’t fix. 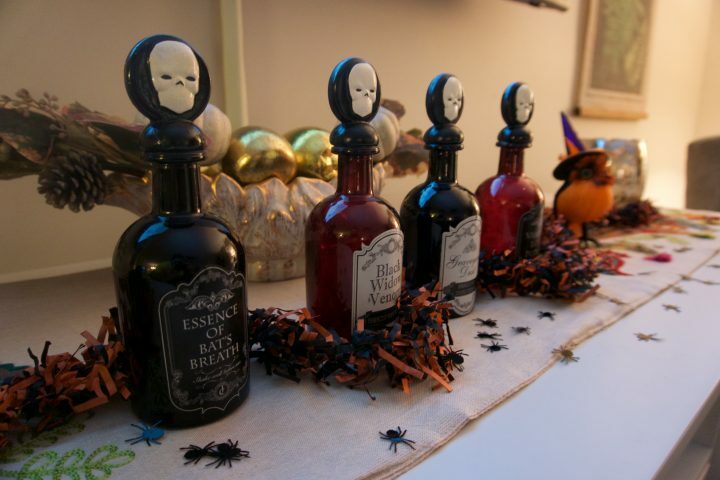 We’re already scheming up our costumes for next year and looking forward to a quiet night tonight with our little pumpkin watching “Hocus Hocus.” Happy Halloween, friend!